Dubai is home to several impressive buildings, but perhaps one of the most impressive is the 2,716.5 foot tower that is Burj Khalifa. 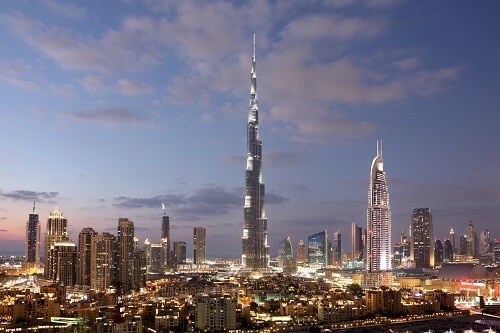 It is the world’s tallest building and the world’s tallest free standing structure. It also breaks several other records, though other buildings are striving to top this. The tower is impressive to look at, as well. Three structures are built around the center core, with staggered levels.